Did you know that there is no such thing as a black panther? 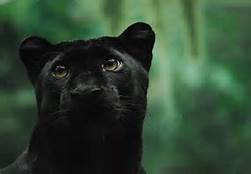 Only melinated or melanistic leopards in Asia & Africa & jaguars in the Americas, their dark coats making them less conspicuous to predators & is a foraging advantage during night hunting.. (I wonder if the founders of the Black Panther Party knew this & that’s why they chose it?) 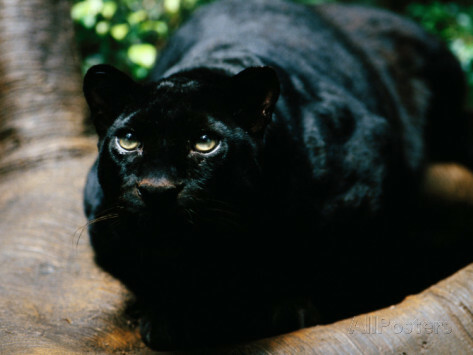 Studies reported in New Scientist  links melanism to beneficial mutations resulting in elevated disease resistance, finding it to be higher in melanistic cats than those with ‘normal’ color coats.. There are two types of melanin in the human body: Integumental Melanin & Neuromelanin. Integumental Melanin is skin melanin & Neuromelanin is internal melanin that exists in our brain, central nervous system & internal organs. Each cell in the human body has a brain & that brain is melanin. Melanin is measured by the amount of Neuromelanin we produce, the type that allows higher potentials, mentally, spiritually & physically. It is important for us to know that the color of our skin does not always determine the levels of melanin that exists internally. Some ‘races’ produce high levels of skin melanin but only very little Neuromelanin. It is also important to know that melanin, which is essentially black, does take on different shades of colors in nature. Nappy & curly hair people of African descent have the highest levels of Neuromelanin regardless of the shade of our skin. Note: there are many Alkebulan people who have become victims of pineal calcification mainly because of poor diet. Pineal calcification stagnates the production of melanin & the utilization of it. Interesting how darkness & blackness has been found to be beneficial in so many different ways, yet it is always associated with evil… The black cat is bad luck if it crosses your path. Black magic is evil & white magic is good. Devils food cake is black & angel food cake is white. Restaurants are always boasting about using the white meat of the chicken, the driest & most flavorless part (sometimes even charging more for it), instead of the dark meat, which is juicier, more nutritious & flavorful. The black sheep is the disgrace of the family. If you notice, many of Disney’s villains have darker skin hues, colors or darker fur. Historical bubonic plagues have been called the black death. Being black balled is a negative vote for acceptance. Black market, blacklisted, etc, etc. Even improper English has been associated with black people: Ebonics. A disease that didn’t originate from Africa, nor African people: Ebola. Racist propaganda exists in many forms & has been imbedded in the psyche of society for hundreds of years. Human beings are not naturally racist, they are conditioned to be so! Let’s undo this hurtful, harmful conditioning & treat each other with regard to our characters, not our colors!! !